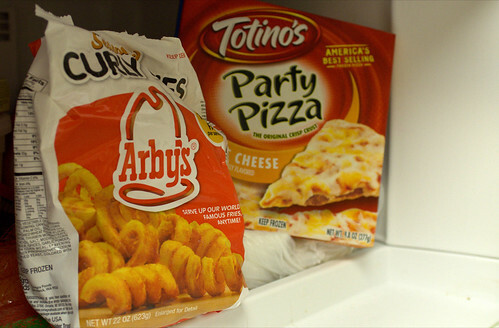 The freezer aisle at your local grocery store is often loaded with complete frozen meals. The aisles tend to have a wide variety of “meals in a box,” as well. It’s easy to see why these are popular. You can just take them home, throw them in a pan or skillet, cook at a certain temperature for as long as the directions say, and put them on the table. Of course, the equation is never quite that simple. For starters, virtually every frozen or prepackaged meal you buy is far more expensive than the raw ingredients in it. For example, if you pick up a frozen lasagna, you could make virtually the same lasagna for quite a bit less at home, or make one for just a little less that has far higher quality ingredients. On top of that, the frozen and prepackaged meals are loaded with ingredients you don’t really want. They usually include high levels of sodium and a wide variety of preservatives, plus their calorie count is often amazingly high. Both of these aspects have a serious cost. The first one is a short term cost, of course. We can save about $1 per head making meals at home if we go the cheap route, but if we go for all fresh ingredients, we still save a little overall and have an amazing meal. The long term cost is well worth considering, though. A diet high in sodium and high in caloric content has demonstratable negative effects on long-term health. Simply put, that means higher health care bills and pharmacy bills in the future. You can’t attribute this to one meal, of course, but you certainly can attribute it to a long sequence of meals. I’d attribute the cost of much of the long-term health consequences of unhealthy meals to the meals themselves, meaning that the meals are more expensive than you think they are. The best solution is to simply start preparing as much food as you possibly can at home, from scratch. A good rule of thumb for home food preparation is this: when you’re cooking, the simpler and fresher the ingredients you start with, the healthier the end result will usually turn out to be, and the cheaper per serving the meal will turn out to be as well. Here’s a simple example of what I’m talking about. Rather than buying a pan of frozen lasagna for $12 at the store, buy a $2 box of whole wheat lasagna noodles, $2 of mozzarella cheese, a few tomatoes, and perhaps a pound of ground beef. Make the entire meal yourself at home and it’ll be out of the oven faster than the frozen lasgana. It’ll taste a lot better, too, and it’ll be cheaper and healthier. Start making choices like this consistently and you’ll save yourself significant money, both now and in the future.